Many fishes will gladly consume motile invertebrates. FOWLR Philosophy... First let me start by letting all of you know that you provide a great deal of service to those of us who are beginning in the hobby or are still learning, so, thank you ahead of time. <Hey- we all are! I learn something new every day! (and screw something up every other day- so I think I come out ahead of the game...). Scott F. with you tonight> My background: 50gln with two maroon gold band clowns, cleaner wrasses, yellow tail Coris wrasses, juv. majestic, Auriga butterfly, and a clean up crew of crabs and snails with approximately 60lbs of live rock. <Lots of life. really, too much life, in there!> I am moving up to a 125gln this month, however, I am so confused at this point I'm stalled on what to do. <Glad that you're moving up...good> My wife and I love the color and motion of coral and movement of fish. My LFS is leading me in the direction of a fish only tank, no live rock and bedding layer of and inch or less, reason being in case of disease or illness its easier to treat. <Well- yes and no...I still hate treating fishes in the display tank...just too difficult to maintain therapeutic doses of medications, in my opinion, along with other potential problems> Up to this point I've not had a Q-tank, I bought a 13gln yesterday, point being I've been treating the tank with limited success which I now know is not optimum. <Nope-get that Q tank and you'll be so much more successful-trust me on this...!> The "professional" says that in the case of a fish only tank I could just add copper ( ich outbreak for example) and not worry about the inverts. <Well, yes- but again- there are some difficulties that I think make this an undesirable approach> I know that even quarantine is not 100%, so you see my dilemma. <True. But you will enjoy much greater control and success at preventing and intervening against potential diseases if you employ this approach.> Is there a logical answer to my question that I am overlooking? It seems to me since we are trying to duplicate nature we would want both but since we are operating on a closed system and a much smaller scale things change. <I understand your dilemma, but I think that the FOWLR approach is the best way to set up a "fish" tank, if for no other reason than the fact that it relies on biology and natural materials and processes, rather than technical props to achieve the results that you want. If you take a "holistic" approach, I think that you'll be fine. 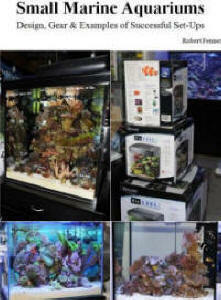 Run that FOWLR tank with the same diligence and careful management as you would an SPS reef, and you'll win every time! Your guidance is very helpful, Thank you. Suniga <And thank you for stopping by! Good luck with your new system! 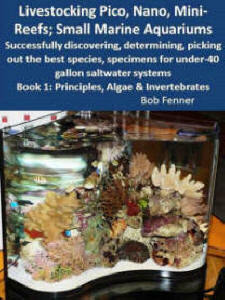 Read and learn on the WetWebMedia.Com site about the many approaches to "fish-only" systems! Regards, Scott F.
FO to FOWLR Conversion question I have a 120 that I am slowly converting from a wet/dry setup to a live rock setup. I've put in about 60 lbs of live rock at this point. How much rock is necessary ? <Please read here: http://www.WetWebMedia.com/lrfaqs.htm> When in this process do I start removing the bioballs in the sump of the wet-dry ? Do I remove them in steps ? (50% now, 50% later) <Better to do the latter. Please read here: http://www.WetWebMedia.com/wetdryfaqs.htm> In addition I have a raccoon butterfly in the tank. What sort of inverts can I put in the tank with this guy swimming around ? 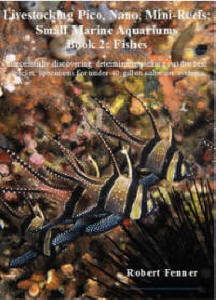 <Please read about this B/F, the marine invertebrates by perusing our principal site. www.WetWebMedia.com Bob Fenner> Thanks ! Fish Only w/ Live Rock Question Hi- I have a 55 gallon fish only tank and I was wondering if it would be possible to add live rock to the system. My tank houses a trigger and a wrasse, would these kill off the rock? What kind of lighting would I need to sustain the LR, and how much should I get? Thanks, - Dillon >> Yes to getting the live rock... the more the merrier, but ten, twenty or more pounds would be great. The Trigger and Wrasse will have a good time eating and rearranging the rock... but this is a "good thing"... and some, most of the life on it will be sustained with simple full spectrum fluorescent lighting... What sort of lamp(s) do you use? Bob Fenner, who thanks you for writing.